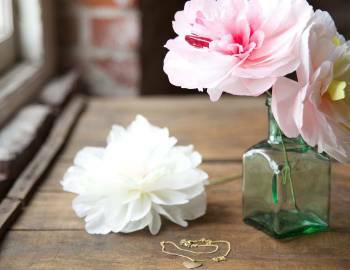 Livia Cetti is a renowned floral and still-life stylist, crafter, and creative director. Growing up in an artistic family in the mountains north of Santa Barbara helped define Livia's organic sensibility. 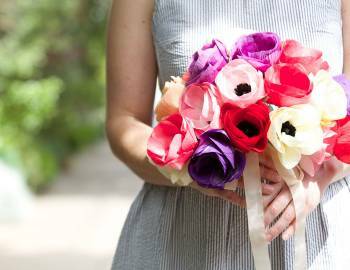 Livia is the country’s premiere paper-flower artist, known for her high-style, gorgeous tissue and crepe-paper flowers—which are usually mistaken for real blooms. 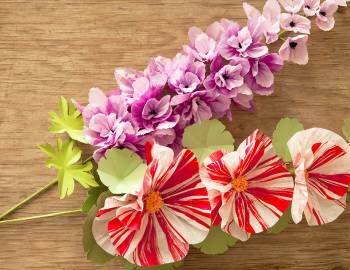 The Exquisite Book of Paper Flowers, published by STC Craft/Melanie Falick Books in April 2014, is the comprehensive how-to manual showcasing her until-now secret techniques for creating her coveted paper flowers. 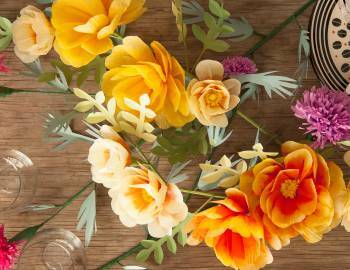 In addition to her fine arts degree from the San Francisco Art Institute, she has more than 19 years of experience in the floral industry. 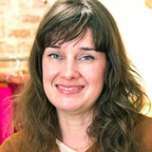 Livia has worked as a contributing editor at Martha Stewart Weddings and style director at Brides magazine, and her work has been featured in Martha Stewart Weddings, InStyle, Food and Wine, Real Simple, Elle, New York, and Brides, among many other publications. Livia has styled global print advertising campaigns and even created a custom floral installation for a state dinner at the White House. She lives in the Bronx, New York, in a charming farm house built in 1901 with her husband and two boys, Dante and Mick.